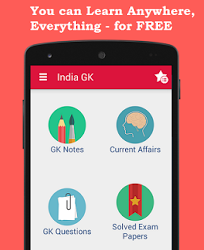 9, 10 June 2017 Current Affairs MCQs, Quiz, Questions: Current Affairs for June 2017, Daily Multiple Choice Questions (MCQs) for India GK, World GK and current affairs with Collection of daily objective type Question by www.Indiagk.net based on General Knowledge (GK) and General Science (GS) Questions for UPSC, State PSC, SSC, Police exam, Railway exam, SBI, Bank PO, IBPC, SSC, LDC, UDC, Army, Airforce, Navy, Coast Guard, Bank Clerk, TET and all entrance examination with current affairs News, Multiple Choice Questions (MCQs) available on Website www.IndiaGK.net and Android Apps with daily updates:. SEBI on 9th June clear whom as new MD and CEO of the NSE? Which Nation on 9 June 2017 became full official member of Shanghai Cooperation Organisation (SCO)? Who becomes first Indian in Forbes list of highest paid athletes? Basudev Chatterji passed away recently. He was associated with which field? SATH program is launched by ------ ?